The location of the dairy was on the western border, adjoining Baie d'Urfe. 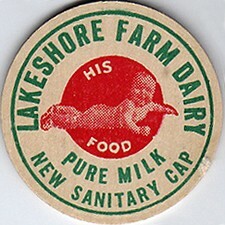 The "Lakeshore Dairy" was founded in 1927 by Léo Valois of Beaurepaire, Quebec. 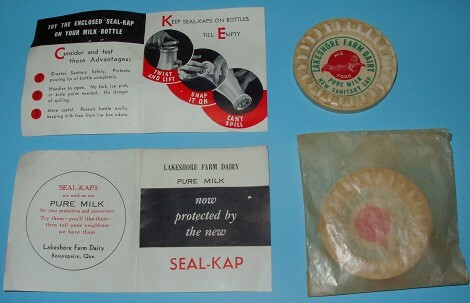 At the age of 25, Mr. Valois started the dairy in a small section of is father's farm situated at 591 Lakeshore Rd. 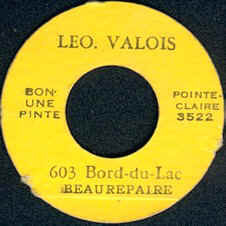 Mr. Valois was the oldest of 6 boys and 2 girls. Hi bought his first route in Valois, Quebec, with a total capacity of 30 gallons, 10 cases containing each 12 quarts per case. Later, other routes were purchased from Mr. Armand Legault, Mr. Arthur Allard and a Mr. Williamson. The office was situated at 597 Lakeshore Rd. 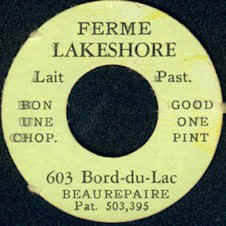 until 1936, then was moved to a new location on september 28 at 603 Lakeshore Road, due to his marriage to Miss Aurore Fréchette. 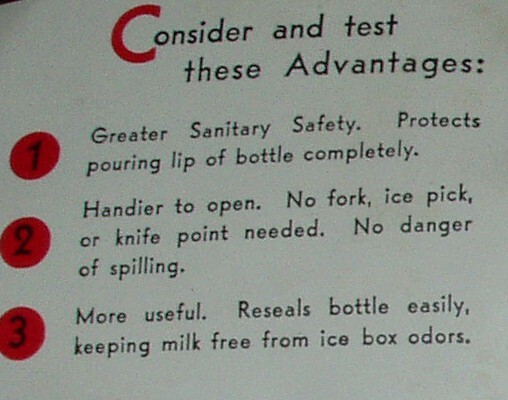 With the pasteurization of milk in force by law, converting the machinery for pasteurization was too costly; so Mr. Valois joined in 1944-45 "La Ferme St-Laurent" as a distributor. 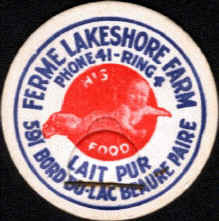 The "Lakeshore Dairy Farm" was then sold in 1957 to Mr. Moisan who later sold it to Mr. Pierre Morin.